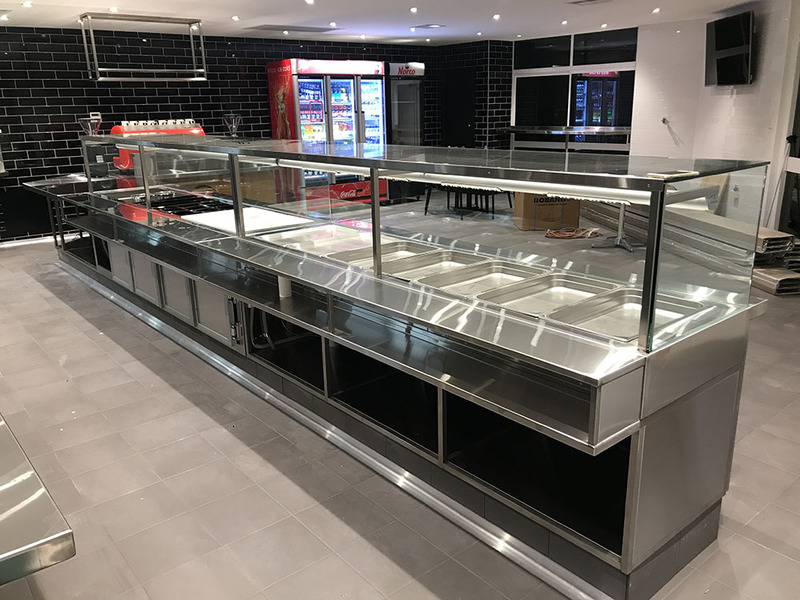 If you are looking for a commercial or domestic fit out, we are dedicated to go to extra lengths to make sure your project is hassle free, on time, and finished to the highest level of quality. We are a proud, family owned and operated business with over 60 years of collective experience, let us use our extensive knowledge to help you meet your needs. 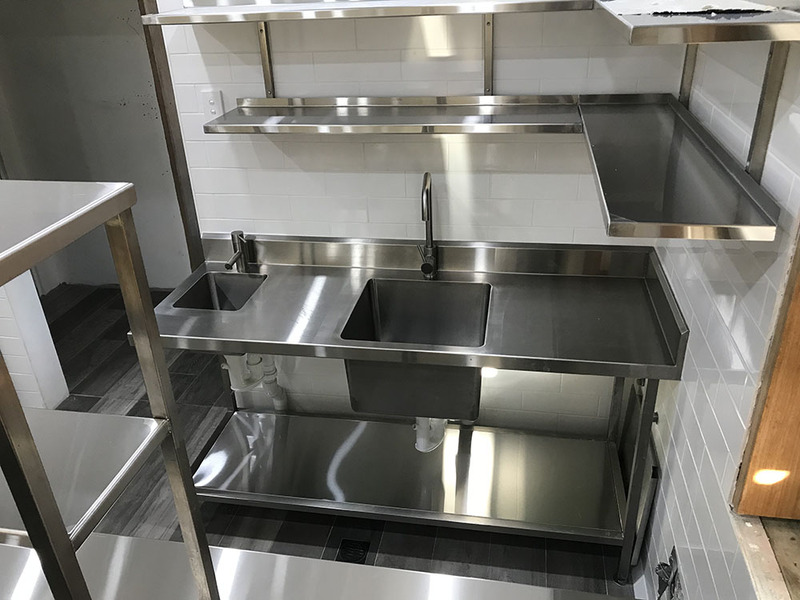 At Brightline, we are commercial kitchen specialists, committed to providing the highest quality of custom stainless steel products to all our customers. Decades of building commercial kitchens has helped us produce products that are built to withstand daily use in the busiest of kitchens, our reputation for product longevity is what sets us apart from others in the industry We can work with your design and requirements, or we can help you with the design of your workspace, whether the project is a brand new kitchen fit out or a alteration/addition of your existing space, we take pride in meeting and exceeding your expectations. 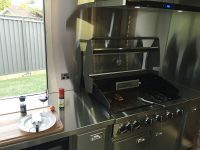 Our customers include café’s, restaurants, take away shops, pubs, clubs, bars, food vans, food trailers, coffee shops, catering and process factories, and more As expert in commercial kitchens, we can fabricate stainless steel: benches, sinks, wall cladding, under bar and upright refrigeration or freezers, cold food bars, hot food bars, butchers plates, salad/sandwich bars, cake displays, splashbacks, shelving, trolleys, racks, frames, infills, cabinets, exhaust hoods/ventilation, and much more. 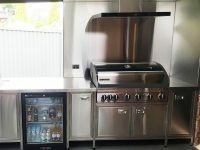 We manufacture and install hand crafted, fabricated benchtops for all applications. 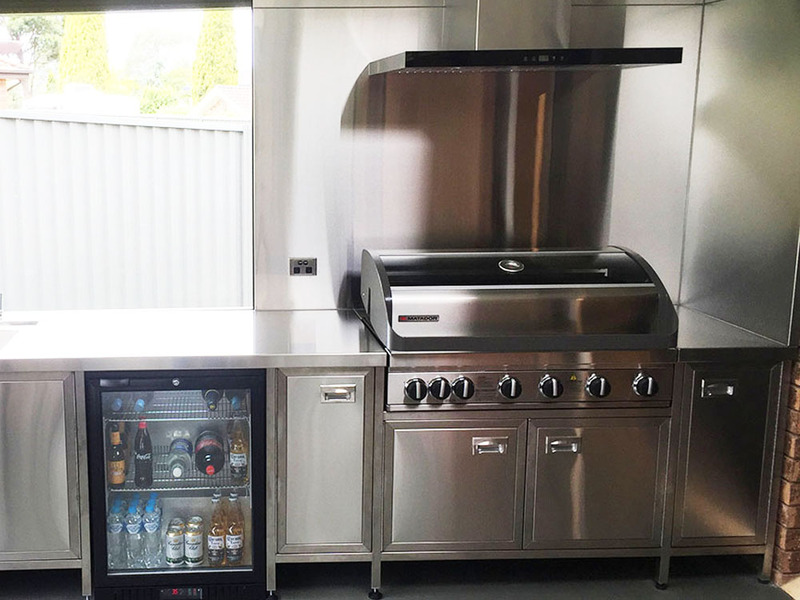 From hygienic grade commercial kitchens or laboratories, to high finish domestic kitchens and outdoor alfresco BBQ areas, all the way to tough built workshop benching, we can custom make any benchtop to suit your specific space and individual needs. 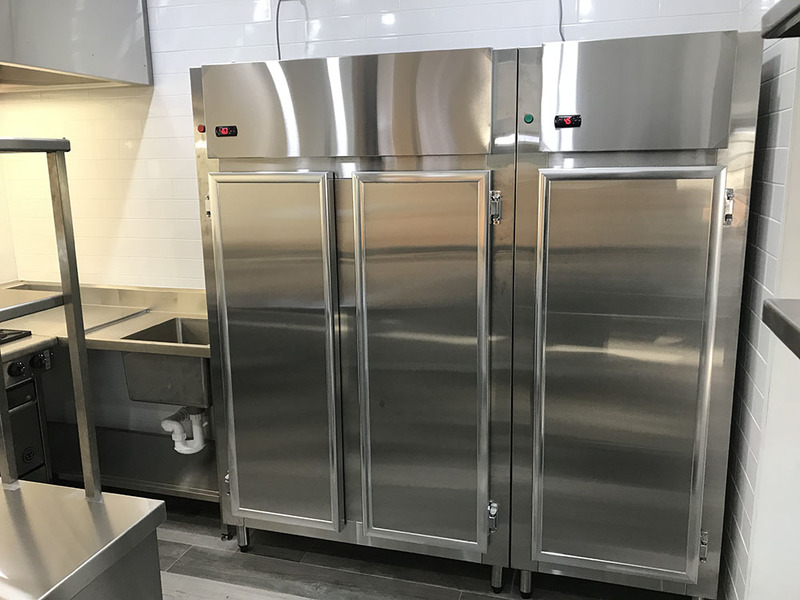 At Brightline, we provide the very best quality custom refrigeration cabinets and hot/cold display counters. With over 40 years of extensive experience in manufacturing and installing commercial refrigeration, along with the use of modern aesthetics, we can supply you as the user with a long lasting, highly efficient, cost effective modern refrigeration unit made specifically to suit your space and product needs. 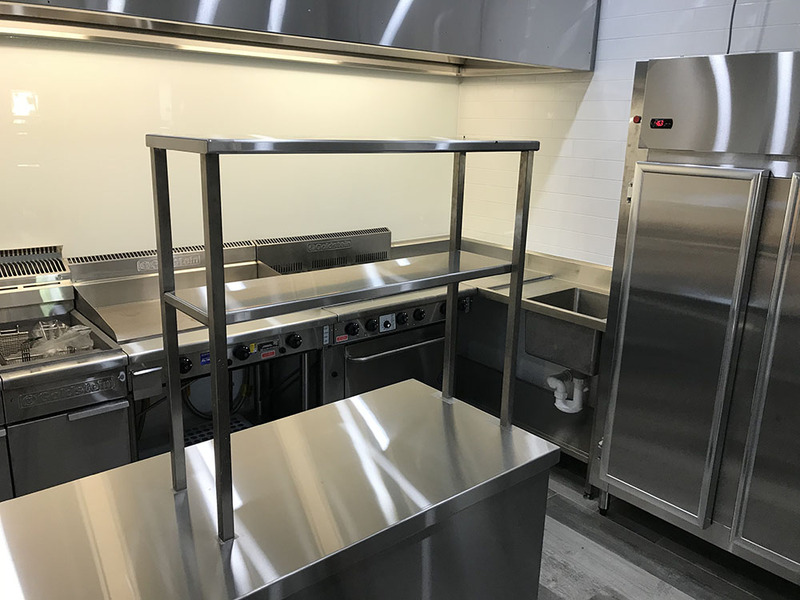 Stainless steel wall cladding inside commercial kitchens has become extremely popular as tiled walls are commonly failing, and increasingly becoming obsolete. 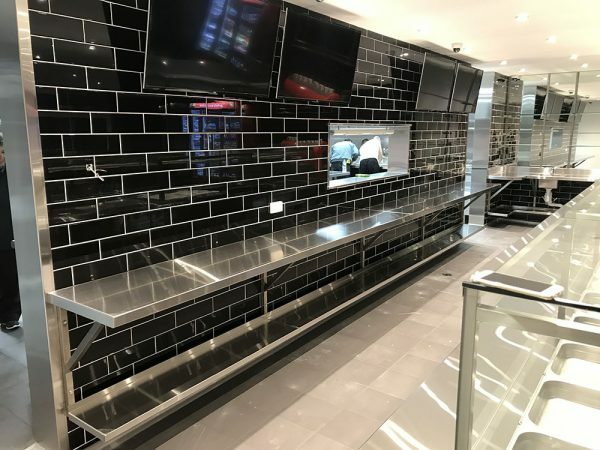 Our expert team has accurately manufactured and installed over thousands of square meters of wall cladding in kitchens all over NSW. We tailor make your wall cladding and carefully measure your kitchen doorways, equipment/appliances, uneven floors/ceilings etc, along with hygienically sealing every join and to supply you with the upmost professional and durable wall finishing inside your kitchen. 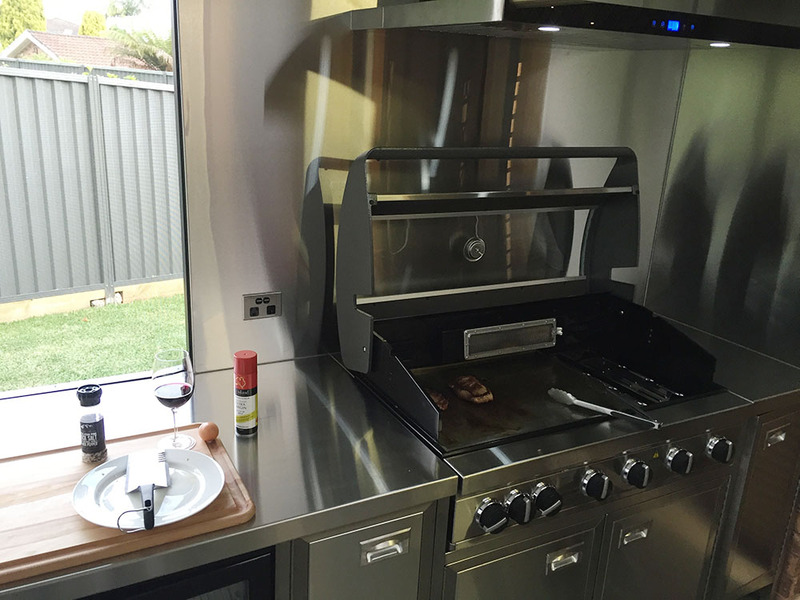 Why use our stainless steel wall cladding inside your kitchen instead of tiles…??? Stainless steel is a much more superior durable and clean material. 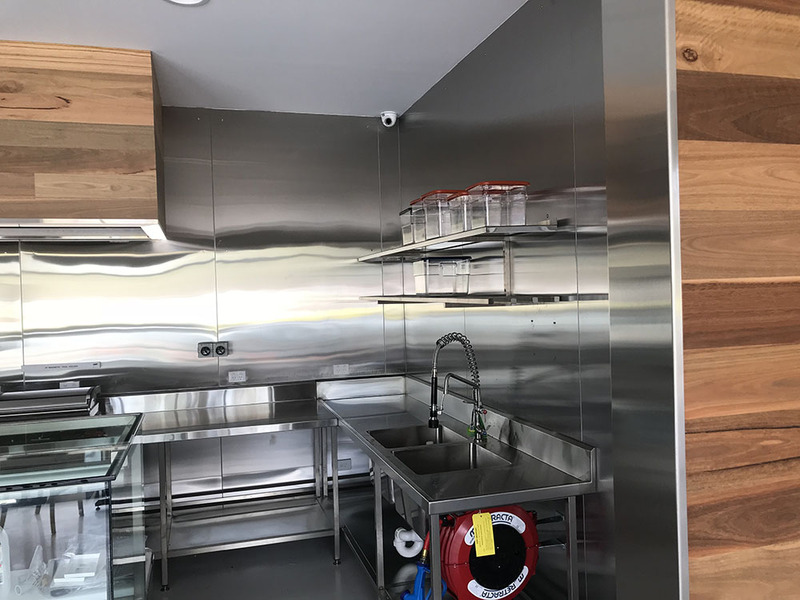 Food Inspectors much prefer to see stainless steel wall cladding inside a commercial kitchen as opposed to any other wall finishing, due to its sanitary nature and ease of daily cleaning. At Brightline we can undertake full commercial kitchens and hospitality fit outs, including complete design, management, and construction of projects. We take the time to understand your business requirements. 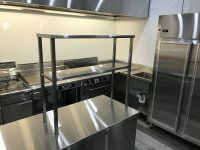 Whether it be fitting out a brand-new shop, modifying your current area or revamping an old look, as experts in the industry we can help bring to life your visions and guide you on how to best design your commercial kitchen. We specialise in providing custom made stainless steel: benches, sinks, wall cladding, under bar and upright refrigeration or freezers, cold food bars, hot food bars, butchers plates, salad/sandwich bars, cake displays, splashbacks, shelving, trolleys, racks, frames, infills, cabinets, exhaust hoods/ventilation, and much more. Brightline is a family run and owned business, operating since 1991 we put our business longevity down to putting our customers first. We pride ourselves on making sure every job (big or small) that leaves our workshop is built to the highest level, correct price, and on time so each and every one of our customers have a hassle free experience. 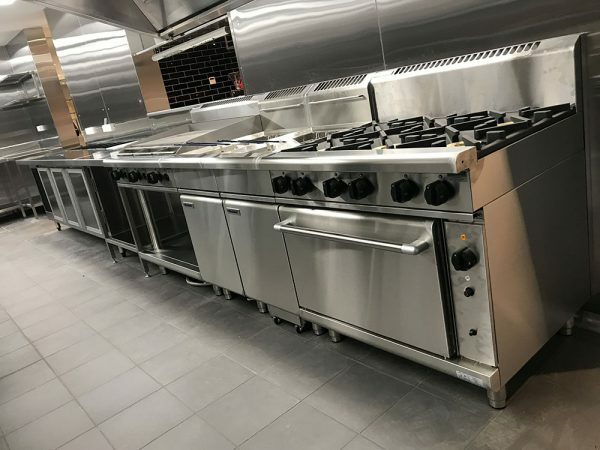 This work ethic and reliability has seen many customers return and become regulars, we love creating a professional relationship with our clients, and are still servicing some of the same customers that we have been working with since beginning in 1991, helping them along the way set up their kitchens, expand their kitchens and fit out 2nd, 3rd, and even 4th business locations. Let us help you with your next project, no matter how big or how small, domestic or commercial, do not hesitate to contact us, or follow us on social media (Facebook and Instagram) to view our level of quality and customer satisfaction on a daily basis. 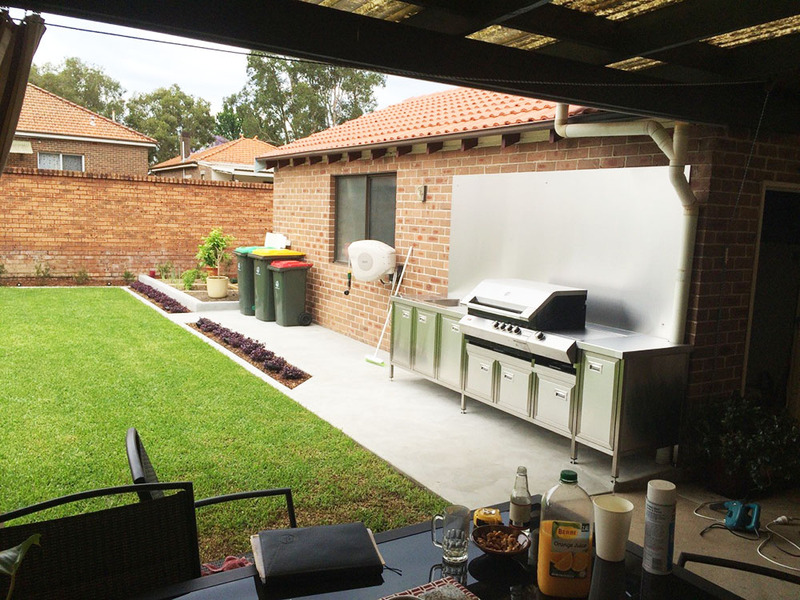 We service locations all over NSW, our head office/workshop is located in Sydney (Chipping Norton), however we also have locations in the Hunter/Port Stephens area, and also the Mudgee Region. We are a proud, family owned and operated business with over 60 years of collective experience, let us use our extensive knowledge to help you meet your needs. 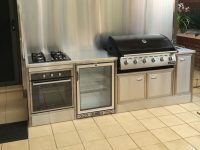 We pride ourselves on making sure every job (big or small) that leaves our workshop is built to the highest level, correct price, and on time so each and every one of our customers have a hassle free experience.